Our accredited training programs are facilitated by a paramedic. All of our First-Aid programs include real-life scenarios complete with fake injuries and fake blood. We offer onsite courses with flexible scheduling options throughout the Durham Region and beyond. Our accredited training programs are facilitated by a paramedic. And all of our first-aid programs include real-life scenarios complete with fake injuries and fake blood. Participants get to practice their first aid skills in their workspace bringing an element of realism to the training to ensure your team is confident, competent and ready to respond. Scheduling your teams training couldn’t be easier. We offer on site courses with flexible scheduling options throughout the Durham Region and beyond. Courses can be held in your office, factory, home or other venue of your choosing and are available 365 days a year 7 days a week between 7am and 11pm. We are a training partner of the Canadian Red Cross and offer all of their lay rescuer and professional emergency training programs. We also have a partnership with HeartZap Services Inc. a division of Ready 4 Rescue Safety Training & Services Inc. All of our first aid programs are recognized and accredited by the Ontario Workplace Safety and Insurance Board (WSIB) regulation 1101 and many other local and national regulatory bodies. 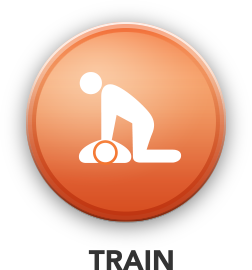 All our CPR programs meet the Canadian edition of the 2015 AHA Guidelines for Emergency Cardiac Care and we include training in AED’s, Epi-Pens, asthma and opioids in all of our programs. Whatever you need, we have. We are proudly partnered with Canadian Red Cross, American Red Cross, Heart and Stroke Foundation, Heartzap, Stop the Bleed, and Emergency Care & Safety Institute to bring you a wide variety of training courses. Click on each training partner below to find which programs they provide. This course offers professional lifeguard certification for pools and builds confident lifeguards to create safe, supervised aquatic areas. The course prepares lifeguards to prevent and respond to lifeguard emergencies, create a safe environment, work in teams and handle public relations in a professional manner. This course offers professional lifeguard certification and prepares lifeguards to create safe, supervised aquatic areas for the waterfront environment. The course prepares lifeguards to prevent and respond to lifeguard emergencies, create a safe environment, work in teams, and handle public relations in a professional manner. with the effects of various types of stress. The course uses primarily case-based learning and includes the latest evidence from the international community. This is a prerequisite course to the professional lifeguard certification that teaches knowledge and practice of first aid, rescue skills, lifeguarding skills, safe behaviours, and how to be part of an elite team. This ensures youth are trained in prevention of injuries, not just in how to respond to them. Course provides the skills needed to recognize and respond to cardiovascular emergencies and choking for adults, children, and babies; use of an automated external defibrillator (AED); and additional skills for healthcare providers. Includes the latest CPR guidelines. A comprehensive course offering advanced first aid and cardiopulmonary resuscitation (CPR) skills for those typically designated as a senior workplace first aid attendant. Course covers a variety of topics from basic (circulation and breathing emergencies, and prevention of disease transmission) to advanced (sudden medical emergencies and injuries to the head and/or spine), including instruction dedicated to understanding workplace legislation and responsibilities. Basic Life Support (BLS) participants are trained to recognize life-threatening emergencies, give high-quality chest compressions, deliver ventilations and provide early use of an AED.This course features science from the 2015 Guidelines Update for CPR and ECC, including single-rescuer and team basic life support skills for in-facility and prehospital settings, with a focus on high-quality CPR and team dynamics. Advanced Cardiovascular Life Support (ACLS) is an advanced course that builds on the foundation of basic life support (BLS) skills. It emphasizes the importance of continuous, high-quality CPR and takes healthcare provider training to the next level- highlighting the importance of high-performance team dynamics and communication, systems of care, recognition and intervention of cardiopulmonary arrest, immediate post-cardiac arrest, acute dysrhythmia, stroke, and acute coronary syndromes. Pediatric Advanced Life Support (PALS) is an advanced course, that focuses on a systematic approach to pediatric assessment, basic life support, PALS treatment algorithms, effective resuscitation and team dynamics to improve the quality of care provided to seriously ill or injured children, resulting in improved outcomes. The Neonatal Resuscitation Program (NRP) is an educational program that introduces the concepts and skills of neonatal resuscitation. In Canada, NRP is administered by the Canadian Paediatric Society and is designed to teach individuals and teams that may be required to resuscitate newborn babies. The Stop the Bleed course will prepare you to react to a situation where massive bleeding from any cause, but particularly from an active shooter, explosive event, car crash, home or industrial events. Victims can die from uncontrolled bleeding in less than 5 to 10 minutes. This course will provide you with the skills to aid in extreme blood loss till paramedics arrive and can save lives.